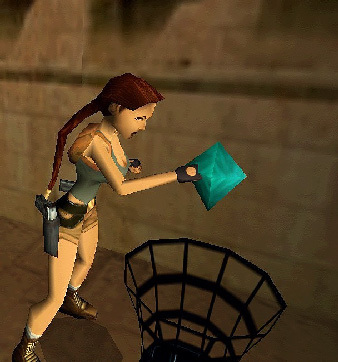 The easiest pickup of all is the one where you simply lay something on the ground and when Lara comes along you press action and Lara picks it up. Nothing more is required other than to lay the object on the ground. If you click on the object and hit the O (letter o) key to bring up the OCB settings dialogue box you will notice there is a 0 (zero) in the timer field. 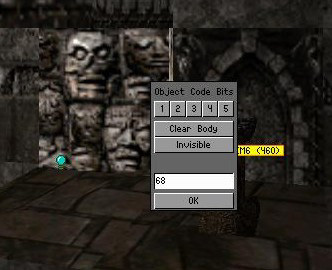 It is by changing this value in the timer field that you change how Lara picks up items, as we shall see. 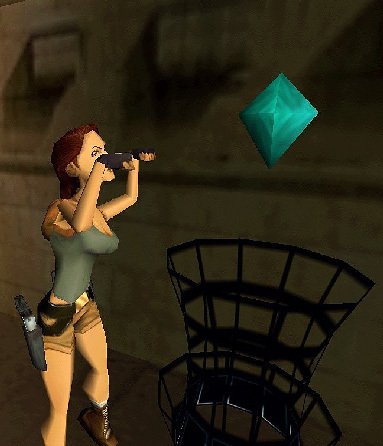 Now Lara will not bend down to pick it up, she will reach for the object and take it from the pedestal. Lara will now use the crowbar to prise the object from the wall. 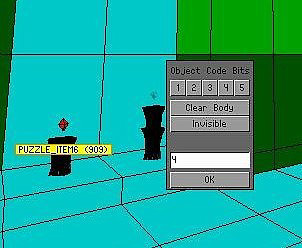 Lara will now reach up for the object, just as she does in the original flyby title sequence in The Last Revelation. The last thing to do is to rotate the object so it lines up with the switch. If the switch is facing north, no rotation is needed. 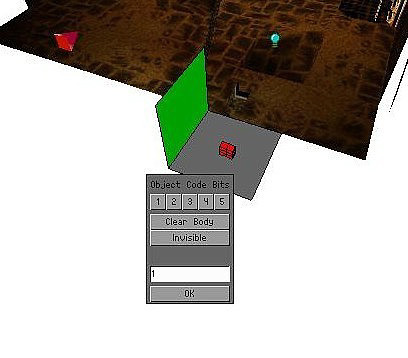 If the switch is facing east, a 2 click rotation is needed. 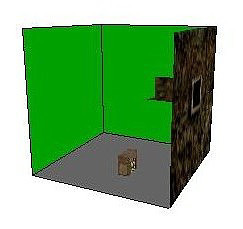 If the switch is facing south, a 4 click rotation is needed. 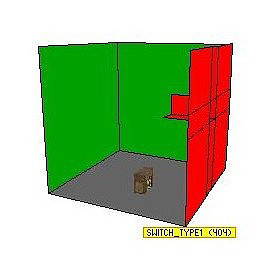 If the switch is facing west, a 6 click rotation is needed. Lara will now reach in for the pickup item. In addition to all this, you can also use the pickups to trigger events. I'm not sure about the reach in the hole pickups, but certainly for the others you can trigger an event by adding 64 to the value in the timer field in the OCB setting dialogue box for the pickup. 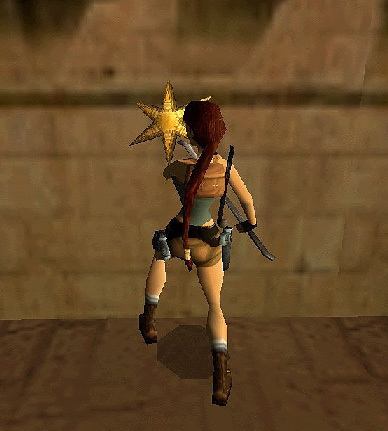 For example, if you want a piece of music to play when Lara picks up a star she has prised from the wall with her crowbar, add 64 to the 2 in the timer field, and make the value 66. Same with the ground pickups, the normal pedestal and high pedestal pickups. To trigger an event from a ground pick up, bring up the OCB box and put 64 (64 + 0) in the timer field. Be sure to also place a pickup trigger for the object on the same tile and a trigger for the event or nothing will happen! 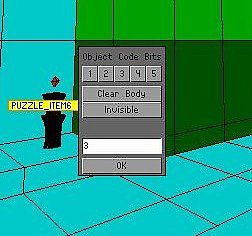 Place your pedestal, raise your secret pickup item 4 clicks from ground level and place it on your pedestal. 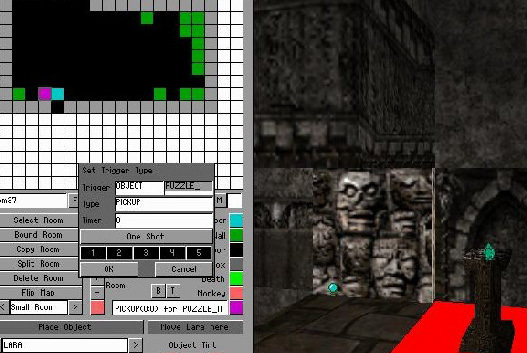 The secret sound will only play when Lara pickups the secret item. 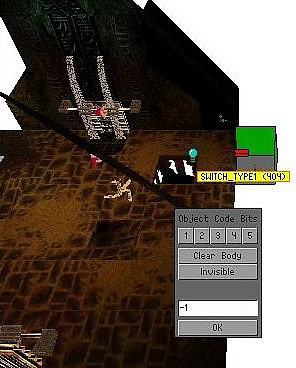 First, select the secret item and bring up its OCB dialogue box by hitting the O (letter o) key. As this item is going to trigger an event we need to add 64 to the normal 4 value and enter 68 into the timer field, ensuring you hit the Enter key to make the value stick. Next place a PICKUP trigger for the item under the pedestal. 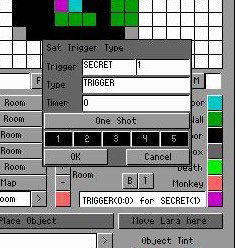 Then place your Secret trigger on top of that. Note: One Shot cannot be used here as you cannot stack special triggers. However, as this is a pickup trigger only triggered by picking up the secret item, the secret sound cannot play twice anyway so it is not needed. 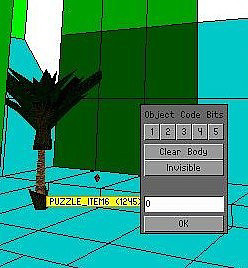 This method can also be used to trigger other events, like opening doors, flipping rooms or playing audio tracks.